You’ll never forget where you were the first time you get up close to a whale in the wild. So why not make sure your whale watching experience is as idyllic as possible? 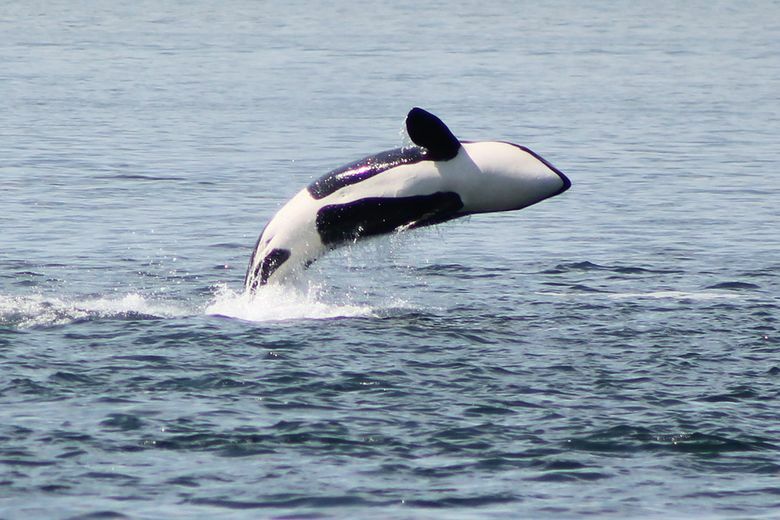 The typical Seattleite’s plan for spotting a whale or pod is to venture north to the San Juan Islands. But they’re tougher than ever to reach, especially with the ferry reservations needed for many island stops. And wait times for non-reservation ferries can easily exceed 4 hours on busy spring and summer weekends. 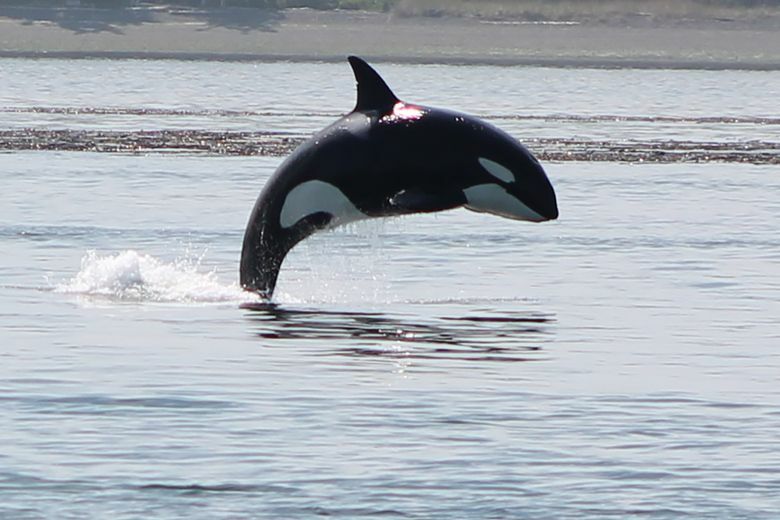 Here’s an insider tip: Look to Bellingham as your departure point for whale watching excursions, and you’ll be greatly rewarded. With no ferry chaos or traffic backups, and many fewer tourists in the know about this locals’ secret, you’ll be sailing smoothly. With sailings through October, Outer Island Excursions boasts a 97 percent success rate spotting whales on their trips. Tickets start at $69 for children under 12, up to $109 for adults. Tickets for seniors 65 and older are $99. If learning some sailing skills and personalized attention are what you’re after, Gato Verde’s a great choice, with 6 people maximum per trip. For anyone who fears seasickness, this is also a better choice than a regular sailboat that can heel (lean) to the side. Gato Verde’s catamaran also features an under-deck lounge area (the captain calls it their “saloon”) with windows, so you can keep an eye on the horizon – another smart move if you’re seeking out your sea legs. Don’t let the name fool you. This cruise line departs from the Bellingham Ferry/Alaska Cruise terminal near Bellingham for excursions to Friday Harbor on San Juan Island. The 100-foot vessel offers indoor seating for all passengers, as well as outdoor deck seating, plus a full bar with beer, wine and cocktail service. The ship sails at 9:30 am, with a narrated cruise through the scenic San Juan Islands to Friday Harbor. Passengers are allotted up to two hours on San Juan Island for museum visits or shopping. 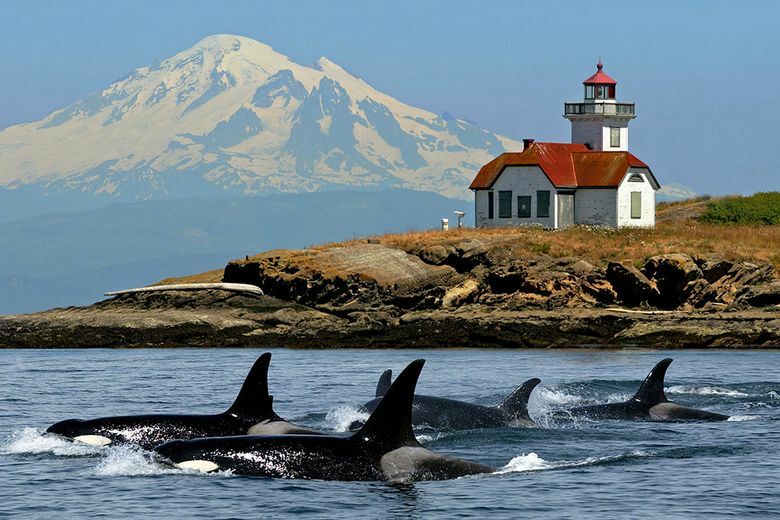 Then, the vessel departs at 1 pm with a Northwest lunch of salmon or barbecue chicken served, and an afternoon of whale watching, before arriving back in Bellingham at 5:30 pm. Trips are scheduled on weekends only May 6 through May 21, then daily starting May 27. Whale watching excursion tickets run $109 for adults. 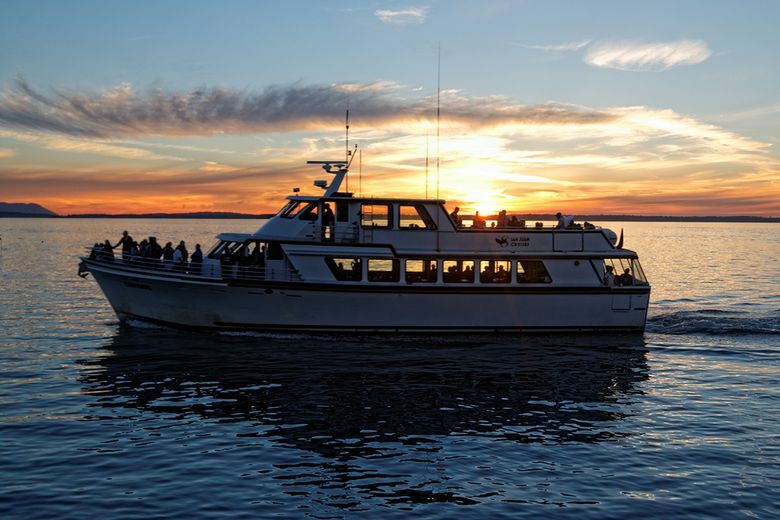 Starting in late May, San Juan Cruises also offers popular Wednesday evening Brewers Cruises, featuring beer from Boundary Bay and other local breweries. These often sell out, so reserve as soon as possible to avoid disappointment. 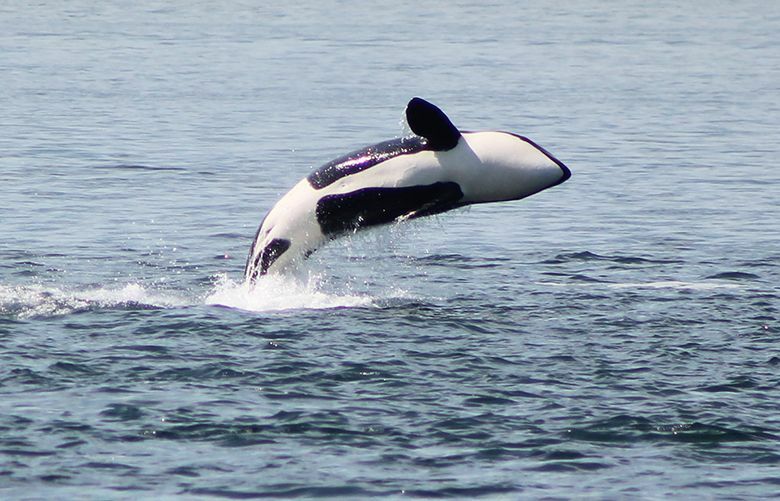 From May through June, the whales most likely to be sighted in Puget Sound waters include orcas, humpbacks and minkes, according to the nonprofit Orca Network. Gray whales also are spotted through the month of May, though that’s toward the end of their season. Other wildlife you may spot includes Pacific harbor seals, harbor porpoises, Dall’s porpoises and sea lions. Anytime you’re on the water, prepare for some splashes. In the case of a whale encounter, it’s not likely, but still possible that you could get soaked by water from its blowhole. So pack smart and bring along a waterproof outer shell as well as a spare fleece jacket. Shoes that help you keep your footing are another must-have. If you do decide on a whale watching adventure, we suggest you extend your getaway by reserving a room at the Hotel Bellwether, located along the same marina as San Juan Cruises. 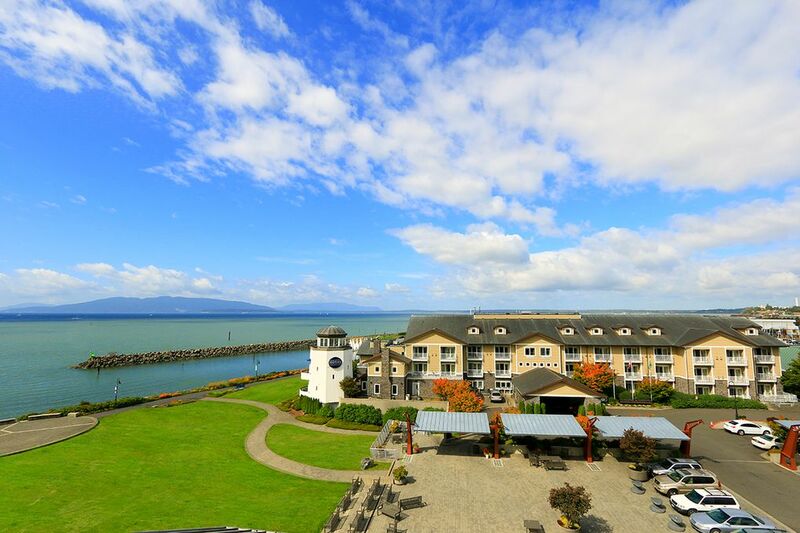 The Bellwether is a 66-room boutique hotel situated right along the water, perfect for admiring the spring sunsets over Bellingham Bay. Each of the hotel’s rooms have been recently renovated, feature custom artwork commissioned from local artists, and boast a fireplace and private balcony. The Bellwether’s Lighthouse Bar and Grill is known for stellar seafood risotto and filet mignon and live jazz five nights a week. The hotel also features Zazen, a day spa, which offers in-room couples’ massages. For those into outdoor activities, the Bellwether offers quick access to hiking trails. The Hotel Bellwether is located at 1 Bellwether Way (360-392-3100; www.hotelbellwether.com). Due to its smaller boutique size, it’s recommend that you make your hotel reservations as soon as possible.